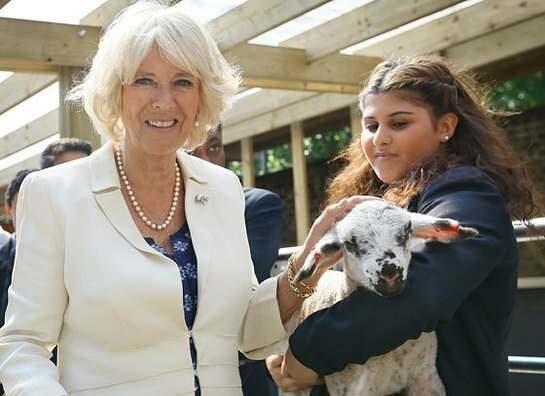 The Duchess of Cornwall visited a London farm this week where she met volunteers, staff and students from nearby schools. The farm site of a quarter of an acre was disused land before Jamie Feilden, a former teacher with the organisation Teach First, created the small holding with another group Oasis, which provides a range of projects for the local community. 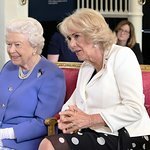 Her Royal Highness was introduced to the farmyard animals by a group of school children given the job of helping to rear them on the small holding close to Waterloo station. In the shadow of railway arches the youngsters are also growing produce on Jamie’s Farm, a project which uses the experience of farm life to help troubled teenagers overcome behavioural problems and other issues. The Duchess is Patron of the charity Jamie’s Farm which already has residential farming projects in Wiltshire and Herefordshire for 10 to 12 children at a time. Mr Feilden said: "I taught in Croydon (south London) for two years and through that experience I looked at the opportunities to bring children out to the country and we piloted it at my mum’s farm and seven children from Croydon came out in 2006.